Lemons are widely known for their numerous benefit. Its magic ranges from improving beauty to health benefits. Most people use lemons through applying it on their faces or squeezing its juice in water or tea. However, drinking a glass of warm lemon water early in the morning before taking breakfast has proven to have quite a number of positive effects. 1) Reduces sweating : If you live in a hot area like Mombasa, sweating has to be an issue. This makes a person feel uncomfortable and can even be repelling to others. Drinking a glass of warm lemon water helps to reduce sweating. 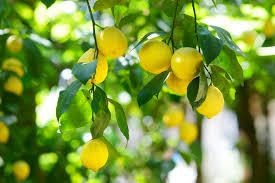 2) Removes blemishes :Lemons are majorly known for their ability to remove dark spots and pimples from the face. Lemon water therefore helps in clearing the skin thus giving it a glow. 3) Prevents fatigue :Most of us wake up feeling tired every morning. This makes us become lazy throughout the day. This drink however reduces fatigue by removing the unnecessary joint aches. 4) Makes your skin to glow :Ladies, we can all agree that we want out skins to look ravishing. Cosmetics can grant us this but lemon water will give you a natural glow that you will have even in the morning. 5) Improves appetite :While some individuals are struggling with controlling their appetites, others totally don't have one. A glass of warm lemon water early in the morning before kick-starting your day will help to restore a normal eating habit.